Take a look at one of M/I Homes most popular floorplans the Hudson. 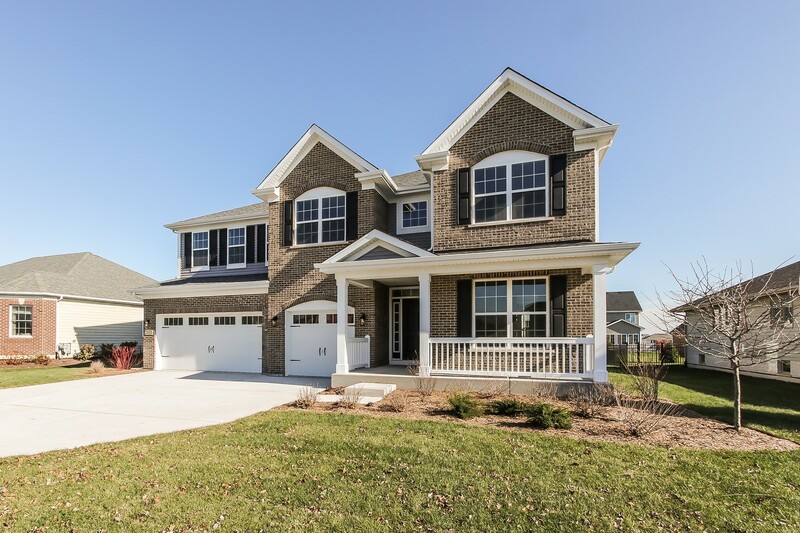 The Hudson has approximately 3,115 sq ft. As you enter this beautiful 2 story foyer you will find a spacious Dining Room. A Butlers Pantry leads you from the Dining Room to the very open Kitchen. This Kitchen includes a large island with extra seating, walk in pantry, plenty of cabinets for storage and a Breakfast Bay Window that opens to that back yard. The Dramatic 2 story Family Room will take your breath away with extra windows and a Firepace. The Den is in the back of the home which is perfect for privacy. The 2 story staircase features railings overlooking the Family Room. This Master Bedroom has a Luxury Master Bath with separate shower, soaker tub and a large walk in closet. Also includes 9ft 1st flr ceilings, 4 bed, full bsmt and 3 car garage. 15 YR Transferable Structural Warranty and Whole Home Certified. Photo's are of another Hudson model. Please, send me more information on this property: MLS# 10268914 – $378,300 – 21312 Coventry Lot 019 Circle, Shorewood, IL 60404.